In a blender combine the ice cream and milk and blend until smooth. To prepare your outrageously fun milkshake glass, spread a coating of frosting around the top third of the glass. Press the candy coated chocolate pieces into the frosting until all of the frosting is covered. Pour the prepared milkshake into the glass. 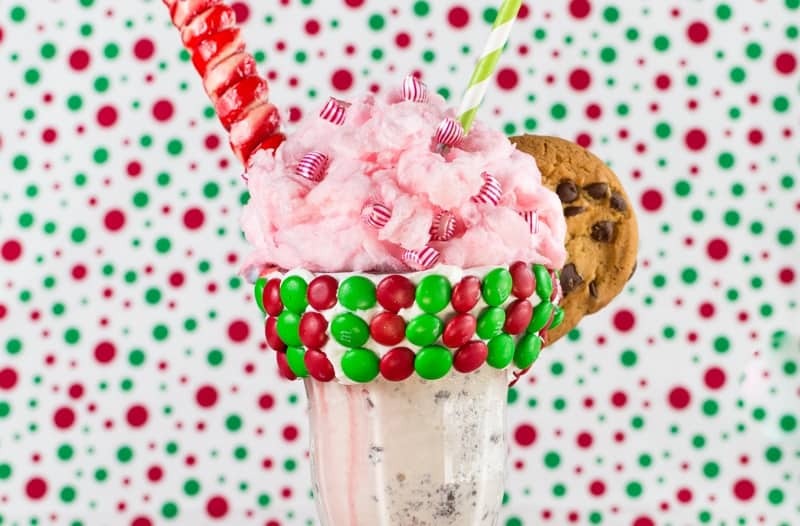 Sprinkle generously with sprinkles and decorate with the lollipop, ribbon candy and a festive straw. Cut a slit ½ into the chocolate chip cookie and set it on the rim of the glass!